In this motivating talk related to the 2015 youth theme, John Bytheway explains what it means to truly embark — to get fully on board in the service of God with all your heart, might, mind, and strength. Using scriptures, powerful stories, and his characteristic humor, John explains that with the Savior's help, we can remain on board and eventually stand blameless before God at the last day. John Bytheway challenges listeners to get fully “on the Boat” with the Lord in his latest audio CD “Embark.” With a charming, witty personality and stories that make the point clear, listeners will feel inspired to stick with the Lord in life. I loved his concept for youth that if you love computers, use the time you spend on them wisely. Do family history, honor the names of your ancestors. I listened to this CD two and from meetings this week and I felt inpired to have a pure heart, to get and stay on the boat. Percfect for youth and their leaders. Know if I Know? ; Of Pigs, Pearls, and Prodigals; When Times are Tough: 5 Scriptures That Will Help You Get through Almost Anything; and the 2014 youth theme talk on CD, Come Unto Christ. He and his wife, Kimberly, have six children. 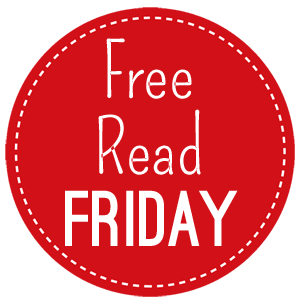 Enjoy these free reads for LDS General Conference Weekend. Join us by listening here Saturday and Sunday! How do I know if I really have a testimony? Am I ready to serve a mission? John Bytheway suggests that we "F.E.E.L." the truthfulness of the gospel through our feelings, our experiences, the many evidences we encounter, and our logical conclusions about how a loving God interacts with His children on the earth. Like gradually turning up a dimmer switch, understanding all the ways we F.E.E.L. our testimony will help it grow brighter. As you read, you may discover that your testimony is stronger than you thought, and you'll also become more excited and motivated to let your light shine! So often when seeking spiritual truth we are waiting for huge life changing experiences. We want a “bolt of lightening” or an absolute, undeniably strong answer to prayer…when in our heart, the truth is already present and evident. By small and simple means, we F.E.E.L. that something is true. John Bytheway gives four sources from which we draw energy to build our testimony “Feelings “you shall feel that it is right” (D&C 9:8), Experiences “If any man will do his will, he shall know . . .” (John 7:17), Evidences “Ye shall know them by their fruits.” (Matthew 7:16), and Logic “I will tell you in your mind. . .” (D&C 8:2). 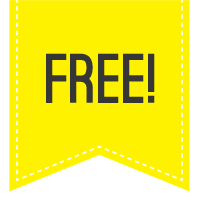 He breaks each of these testimony sources down in an easy to read manner and offers visual reinforcements via QR code embedded videos, and conference talks in each section. The reader, equipped with smart phone or tablet gets an interactive study session on how to feel and recognize truth and then act on those feelings. We are taught, not only by the experiences of the author himself, but also from the words of living prophets and apostles, as well as scholars. If the reader truly wants to delve into the book, there are multi-media means to read and learn more. My favorite embedded video shows the explosive growth of LDS stakes across the United States. I’d never seen a visual representation of just how far and wide the Church of Jesus Christ of Latter- Day Saints has spread. How Do I Know If I Know? is an excellent resource for young men and women preparing for a mission. For me, it is a wonderful reminder that I already FEEL the truth and know it! “I do not,” answered the young man. That story brings up a very interesting question: Is it possible to know that the Church is true, but not know that you know? Is a testimony that hard to detect? This story is even more interesting when you learn the identity of the new stake president. His name was Heber J. Grant. Yes, the same Heber J. Grant who later became the President of the Church. Interestingly, the next time Heber J. Grant faced members of his stake, he spoke powerfully for forty-five minutes. This time, he knew. And he knew that he knew. What did President Grant do in between “believing” the Church was true and “knowing”? And how can we do the same thing? JOHN BYTHEWAY served a mission to the Philippines and later graduated from Brigham Young University. He has a master’s degree in religious education and is a part-time instructor at the BYU Salt Lake Center. 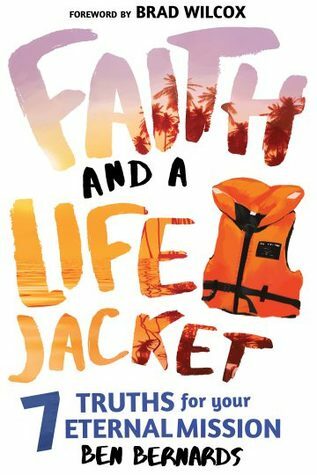 John is the author of many bestselling books, audio talks, and DVDs, including How to Be an Extraordinary Teen; Life Rocks; and his first children’s picture book, The Sacrament. He and his wife, Kimberly, have six children. What difference does it make to have the light of the gospel in your life? To a twelve-year-old girl in post-World War II Germany, it made all the difference. In this charming book, Sister Harriet R. Uchtdorf reflects on the power of heavenly light in her own life and recalls the joy it brought to her family during a dark and difficult time. "It was like a miracle," she explains as she describes how hope came back into their lives. Discover how the light we share can make a life-changing difference to those whose lives we touch-as family members, leaders, missionaries, teachers, friends, and brothers and sisters in the gospel. This is a beautiful reminder from the wife on an apostle that the Lord’s plans for our lives may be very different from our own plans for our life. Sister Harriet R. Uchtdorf came to the United States in 1999 with her husband Dieter on an assignments she though would be temporary. She was looking forward to returning to her homeland and family in Germany, but things chance and we have be willing to be flexible. Filled with the hopeful, positive story of how Harriet learned to listed to her heart and follow the path set for her family, this is a little book with a big message. I loved the illustrations and the format. The Light We Share shows scenes form Germany as well as a lantern…a symbol of lighting the way for others. Sister Ucthdorf shares her personal story of conversion and how the missionaries changed her mother’s life. I truly enjoyed the short but sweet reminder that the Lord knows just how our life will turn out…for the better. HARRIET R. UCHTDORF received a bachelor’s degree in business administration in Frankfurt, Germany, and worked with the public transportation department prior to her marriage to Dieter F. Uchtdorf, who now serves as Second Counselor in the First Presidency of The Church of Jesus Christ of Latter-day Saints. She has served in many callings in the Church and as an institute teacher in Frankfurt. She and her husband have two children, six grandchildren and one great-grandchild. The concept of beauty, and the definition of it, seem to always be caught between endless battles of opinion. If you were asked to define beauty, how would you describe it? 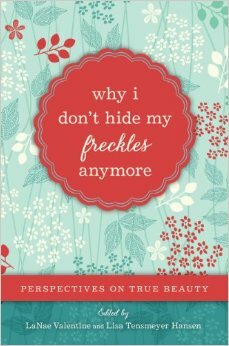 In this book, “Why I Don’t Hide My Freckles Anymore,” readers experience an understanding of beauty and their relationship with it in a clear, elevating way. The essays in this uplifting compilation come in every shape and size, but each one reaches toward a similar conclusion: beauty is truth. And the truth is that everything God created is beautiful, your body included – freckles and all! Women and girls lift their voices declaring that we are beautiful daughters of God, not defined by the world’s standards in this compilation of short essays. Each one infuses and empowers as it explores where true beauty comes from–within. I love books like this that offer so many points of view from women and writers in all different stages of their lives. We would be wise to read a chapter a day, or to share this book with our daughters and friends. Especially good thoughts with summer approaching, swimsuit season and the many women who hide in shame. There is no shame. Your body is a temple. It is a gift! Reflection and writing allow us to see ourselves and others more truthfully, more compassionately. Our personal experiences challenge the illusion of culture. We begin to see how unfulfilling and shallow the messages are. We sense a newfound strength and power to stand up to false standards of self-worth ad refuse to allow ourselves to be merchandise in the marketing of beauty. Real beauty isn’t merely decorative; its primary function is to connect–to our innermost beings to one another and to the world around us. Real beauty does not divide or diminish us–it opens and inspires us. It is not only possible but natural to live peacefully in our body, to be comfortable in our own skin, for each of us to love our bodies and find ourselves beautiful.” – LeNae Valentine, editor.